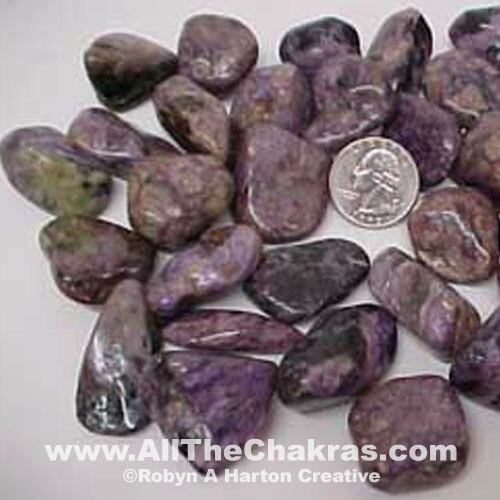 Also, most indigo or purple stones are related to the third eye chakra. Crystals of other colors may also be related to the third eye chakra as well. Crystals and stones may also be related to multiple chakras. To stimulate the third eye chakra, rub tumbled, polished, or naturally smooth crystal in gentle clockwise circles in the center of your forehead. Preferably this should be done while lying still for a few minutes.